Borderlands 2 is one of those games that will go down in history. With its comic book style graphics, character humour and epic co-op, action packed story. 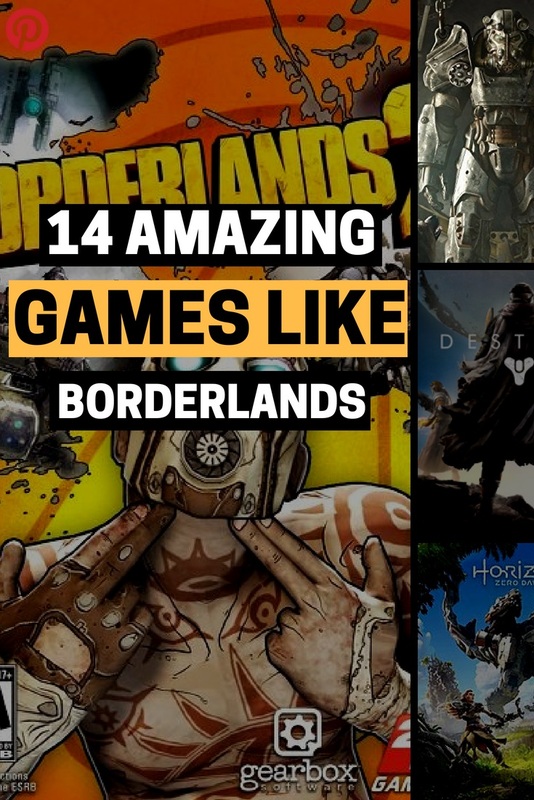 Gamers around the globe are still very much obsessed with borderlands but for whatever reason, we sometimes like to branch out a little until we come back in a few weeks time to enjoy the game once more. So, for now, whether you’re looking for a new game like borderlands, a game a little cheaper or pricier than borderlands or just something new altogether, I have you covered. Take the role of a Guardian, a protector of the earth and protect the cities from evil alien forces. There are two game types, player vs player and player vs environment. The graphics in Destiny (games similar to Destiny) are really great, they take you in this sci-fi, mythical world that is portrayed so perfectly by every character, part of the gameplay and atmosphere. People are addicted to this game as much as people are addicted to Borderlands 2. It’s just one of those immersive games that take you from your gaming chair and into their world. Play in this open-world RPG as Aloy. The world is filled with mechanical robots, using weapons, combat and stealth you must navigate this vast world and discover secrets behind your wildest dreams about yourself. The story is really gripping, the side missions are great and the graphics are too die for. Dying light takes zombies, a great story and parkour and meshes it all into one incredible gaming ball. Play as a survivor who discovers secrets, intriguing and heart-wrenching characters, fight against scary zombies, hostile gangs, find a cure for this disease and learn how to parkour like a pro. I keep mentioning the graphics but honestly, this game has really immersive gameplay that takes you into this apocalyptic world. I love dying light so I created this list of games that are like dying light. You play as the only survivor of a nuclear war, from then on every second is a fight for survival and every decision you make impacts your life. The open-world is huge and you are free to explore as you try and rebuild life. There’s crafting to be done, buildings to be made and a whole lot more. If you DIG Fallout check out these games that are like it. Skyrim (other games like skyrim) brings to life the open-world gaming we are all used to and takes it to the next level. With tonnes to explore in any way you choose. This game is a fantasy, RPG, open-world game that has exceedingly good reviews by so many people around the world. Play any character, do whatever you want, experience the game from other characters perspectives, the list really is endless with Skyrim. Se in 1912 and playing as a retired veteran you find yourself indebted to the wrong people where you must now try and wipe your slate clean. Rescue Elizabeth, who has been imprisoned since childhood. Use weapons, skill, combat and each other in order to survive and uncover the cities dark secrets. Just like in Borderlands, in shadow warrior 2 you must fight alongside allies in order to take down the demonic legions that are overtaking the world. Use guns, blades and even magic in order to fight these evil forces in this action-packed, fps, shooter game. This game is only amazing if you can play it with three other friends, if you play alone it can get a little lonely. Ghost Recon is a military shooter set in a giant open-world, filled with danger and unpredictability. Take down the cartel, explore the land and enjoy the crazy ride. Amazing combat awaits you in this game, as you play the role of a terrifying force who everyone fears. Discover secrets, solve puzzles and enjoy the story throughout. Warframe is a free to play game that reminds me of Borderlands. It’s set in a sci-fi world where you must grind, fight, collect and play an awesome co-op multiplayer mode. Overall for a free game the game itself is really great, it isn’t for everyone but it’s worth a play. Choose one of six characters where you must then try and defeat the Lord of terror (Diablo). The game sold millions and millions of copies in the first few hours just because of the first two going down so well. It’s an action-role playing game where you hack and slash. The graphics aren’t amazing but the gameplay is awesome, you just need to watch the trailer to get a feel of the intensity. Of course I had to mention the original Borderlands, its worth a play if you have never played it before but have gone straight to number 2. It’s quite different and really you will be able to take note and see why it took off so much. I also wanted to included some DLC that you can get for the game to make it an even more unique experience. You can also have a look at games that are just like Borderlands here. Set in the western world, red dead redemption is an open-world game with a third-person perspective. It’s from the creators of GTA V so you just need to watch the trailer to know this game is good. It isn’t out yet but as soon as it is I predict a huge fan base. If you like wild west style games then you’ll love these games like red dead redemption. Last on our games like borderlands list is far cry -primal. Set in an amazing open-world filled with creatures, beasts and stone age wildlife, you will be in awe from the moment you enter. You are the last survivor of a hunting group and you are at the bottom of the food chain. Learn to craft, fend off deadly predators and even outsmart other tribes. You can get this game using our BEST price finder for Xbox, PS4 and PC using them links.